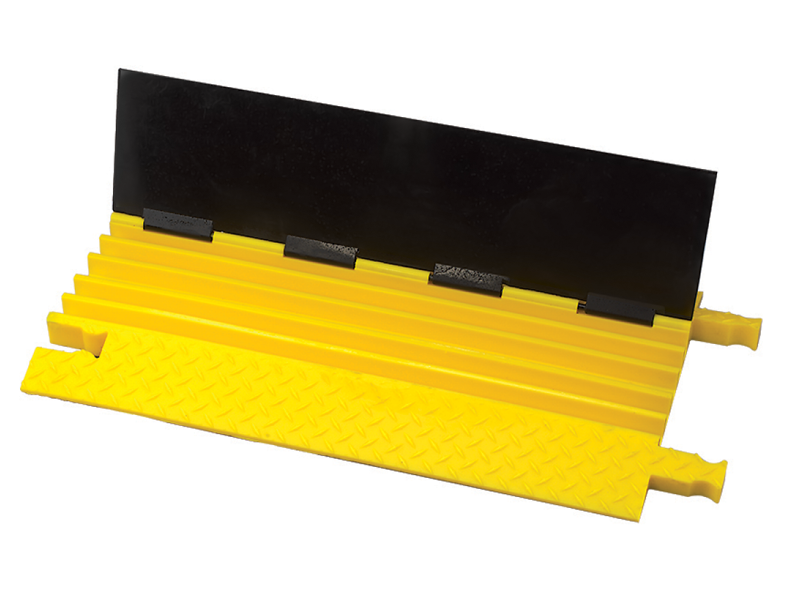 BUMBLE BEE® 5-CHANNEL CABLE PROTECTOR with hinged lid provides a safer crossing in high volume traffic areas while protecting valuable electrical cables and hose lines from damage. 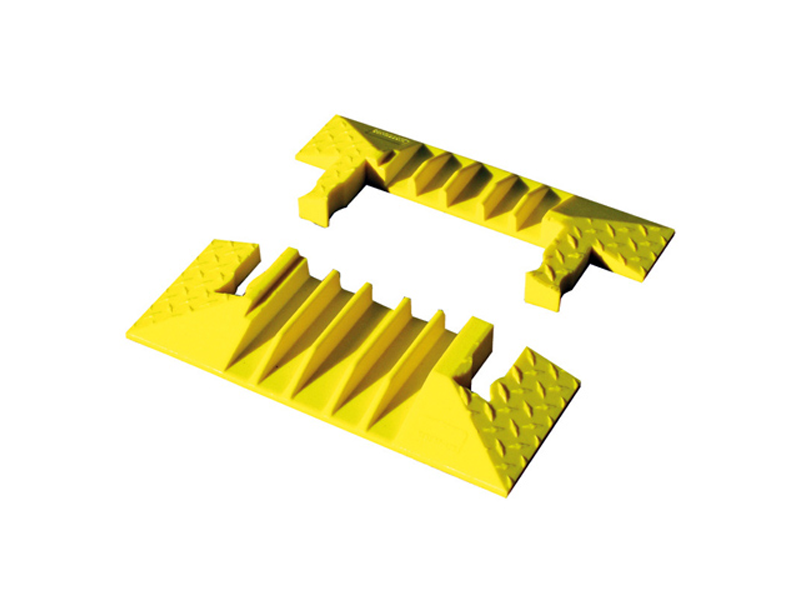 This protector is available with either T-Connectors or Dog Bone Connectors. 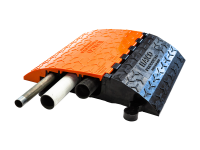 Made from all-weather polyurethane. 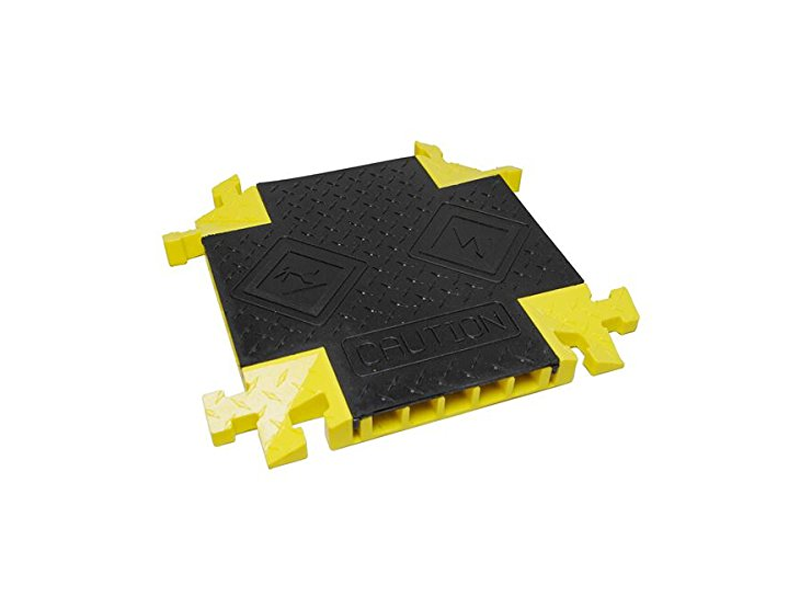 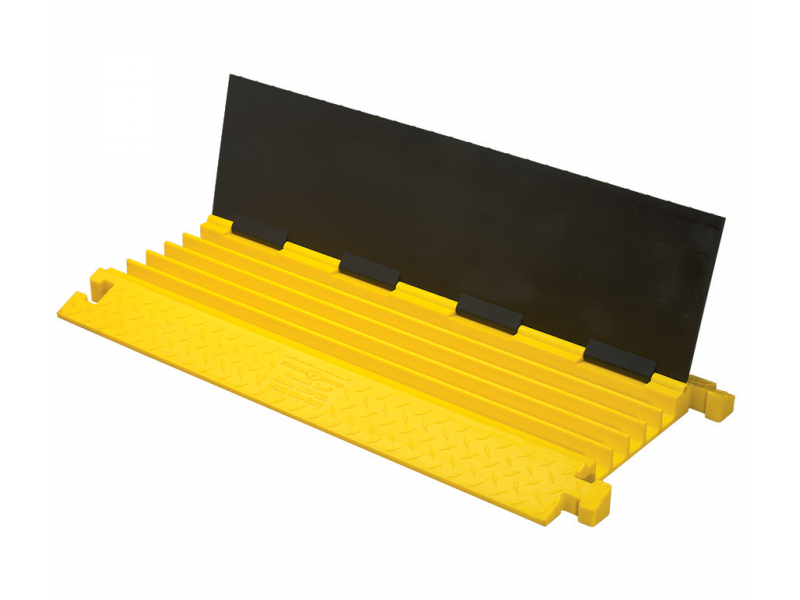 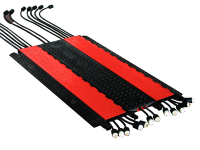 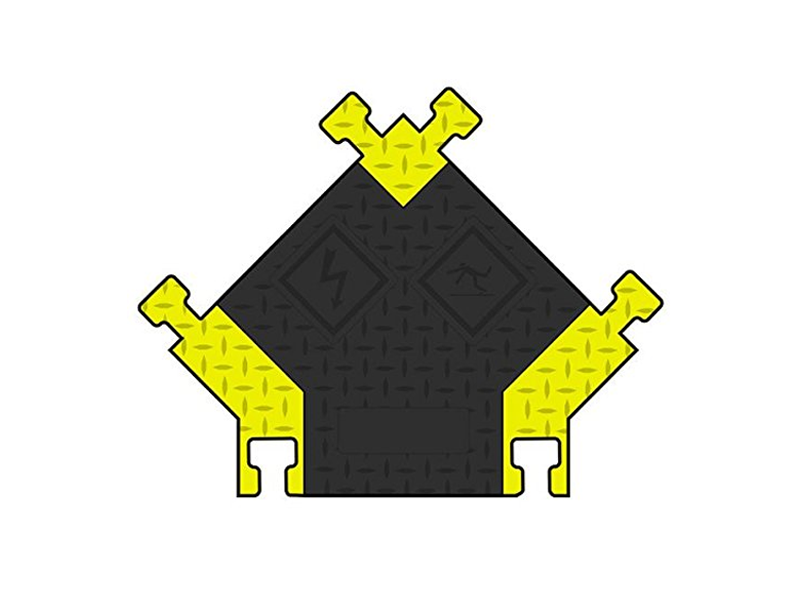 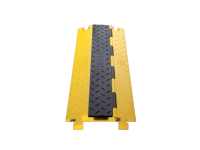 BUMBLE BEE® Cable Protectors feature a diamond plate tread surface for maximum traction. 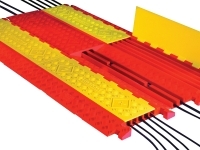 Modular interlocking design is ideal for use in light entertainment and utility applications.